Anyone in central NC have La Scala II that I can audition? 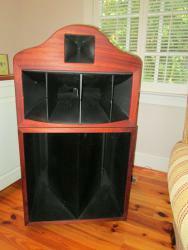 Does any forum member in central North Carolina have a pair of La Scala II speakers that I can audition? None of the local dealers have any in stock and none available for demo. I'm located in Raleigh, but I'm willing to drive a few hours if necessary to hear the LSII. Thanks. No LS lls here but since you are two hours away stop by and listen to my home brew LS/Altec speakers. Thinking about the bass porting modification and need to talk with Marvel (Bruce).....think he did that. Did anyone put you in touch with WC at Panacea Engineering, in NC? He has recently become a Heritage dealer and seems pretty knowledgeable. He may not have the LS II on display, but can probably help you out. Did anyone put you in touch with WC at Panacea Engineering, in NC? Yep. A week or so ago. He was looking for something closer. I wish we had a "members map" to subscribe to here. Chad? That's great but who maintains it? Last active Aug 13'th of this year. I don't think it's actively maintained or even known about by the majority of forum members. A map similar to his that was maintained and pinned to the front page would be great. Clicking on a name and having it transfer you to their profile would be a neat touch as well. Agreed. Hopefully Chad can help us help each other. Wow, places with Heritage on display can be hundreds of miles apart or more. He's lucky he even has one in the same state. Good luck, though! I suggest he check with WC to see if he has an LS II. 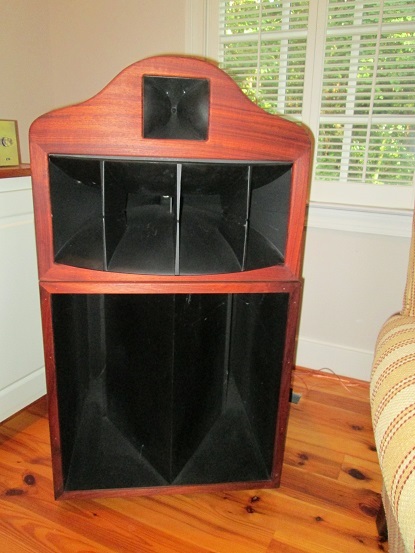 The LS II is a very fine speaker, and it's well worth the drive!